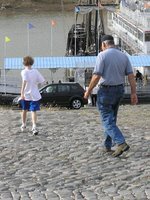 Oregon Research Institute studied 108 people who were over 60 years of age for the health benefits of walking on cobblestones. They came up with this wild idea after watching children and adults walking, exercising and dancing on cobblestone paths in China. 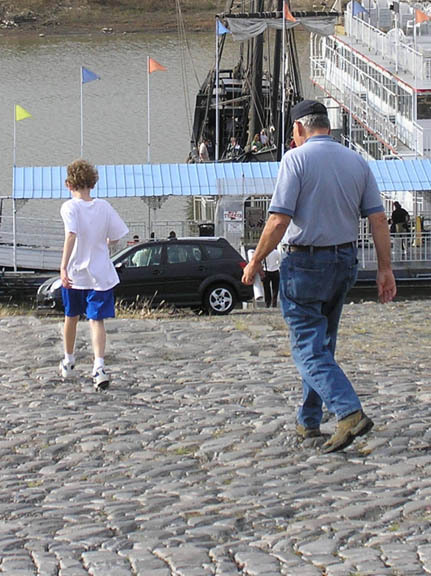 For 16 weeks, the researchers studied the Chinese acupuncture-based theory that walking on cobblestones is good for health by having 1/2 of their subjects walk on cobblestones for exercise. These subjects wore socks or were barefoot on a specially designed cobblestone like surface for exercise. The control group walked on traditional walking paths. What were the finds? They found that all the subjects reported improvements in how they felt with a walking program. However, in 16 weeks the subjects who walked on cobblestones showed marked improvement in blood pressure and balance and experienced significant improvements in mental and physical well-being, including reductions in blood pressure and pain levels. So find find some cobblestones and start walking!